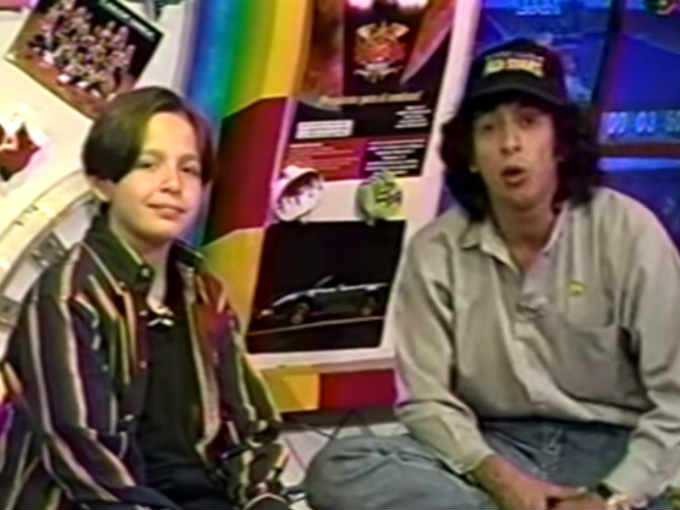 The show could give you tips, secret codes, tricks or even a complete walkthrough of a game and it didn’t matter if it was NES, SNES or N64, it was all fair game. 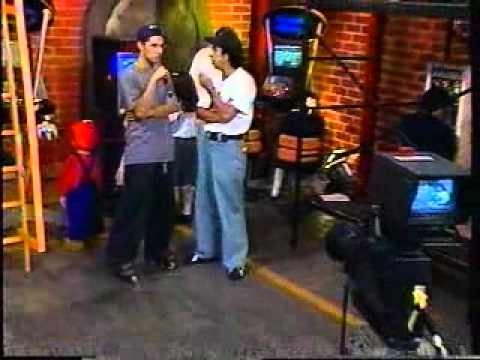 Some episodes included full retrospective of games and their history because of a future title on that series was coming out or just because they wanted to educate you on many aspects of gaming, from the people who made the games, the creators, how the games were made among many other more technical aspects.. 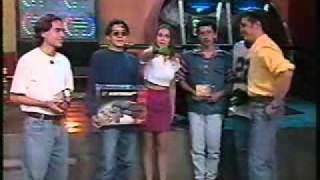 They had themed episodes like a show about animated cartoons based on video games and cartoons that had video games or a special on the latest video game movie. Between commercials you had “Minimanias” which were cool bonus vignettes that could be either a small tip, preview or news. 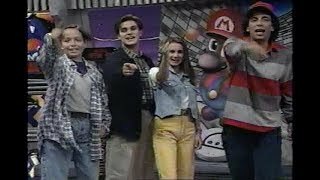 They would bring people to discuss games for example a pilot for a pilotwings review so he could tell the audience what the game got right. They were fan friendly asking questions to them and showing their responses, reading their letters and showing their artwork.If you sent a VHS tape with something cool that you did or record they would likely play it in the air and encouraged fans to send them in, They would send cool stuff to the fans with small contests every show that was random nintendo merchandise from caps, to shirts or keychains. Because they went to shows they would often play all those previews that are now seen as rare that you can find on sites like Unseen64, beta videos like Mother 64 and whatnot, and these were played fairly often. The show had exclusive interviews with not only important people of NOA but also of Nintendo Japan like Miyamoto, they didn’t stop at their exclusives but they would often translate Japanese interviews of news that normally didn’t come out of Japan, this is stuff that is even difficult to find nowadays. They would even include news that were semi related but they knew the kids who liked gaming would enjoy it and this could be from latest technology, cool gadgets, Japanese culture including anime and manga like Dragon Ball Z and Pokemon “Pocket Monsters” a few years before they were the fads and big iconic franchises. They were basically pandering to dweeb culture before it was even a thing, they knew their audience and that’s why the show was loved. There were various hosts through out the show with Gus Rodriguez who conceived the show being the main host and he was a great host as he knew how to do things very well, he was there for the whole run but near the end he stopped appearing on screen because he was also worked on a a rival network and from then on only his voice could be featured which at least was something. Javier who was the son of Gus though that wasn’t actually mentioned in the show, he started as a kid and he was annoying but he represented all of us basically, when he started growing up and the other hosts joined he wasn’t as fun and eventually left because of bad grades but came back again when he was a teen near the end of the show and was now more interesting and did a great job again. Later two more hosts were added with Maggie Hegyi was the cute girl who didn’t seem know anything about gaming and brought to have a wider appeal but she was interested enough to learn about gaming through out the shows run and was genuinely excited to be a part of the show and discuss games., Morgan Webb has nothing on her, she was cute and everyone had a crush on her. 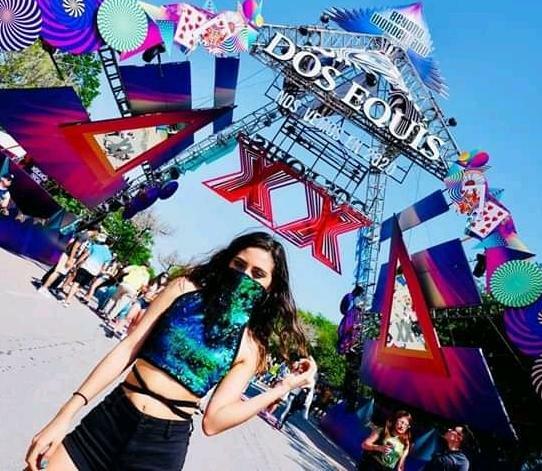 She knew it since she always wore either cute or hot outfits and would send kisses to the screen anime style for the viewers all the time and talk about not finding a boyfriend. She lasted a long time and eventually hosted the show by herself before Javier returned with another new guy. 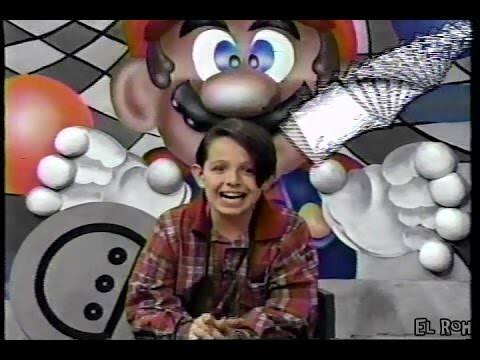 Mark Tacher was the other who also didn’t seem to know much about games and he always tried way too hard. He seemed like a nice guy despite it but didn’t click and was only there for about a year or so, he had talent as he eventually became a soap opera star. Daniel Avilés “Densho” joined in the final phase of the show, he was good at looking excited for something but not great as a full host as he was still learning and slowly got better, being younger you knew he liked games. Alejandra Urdiain or Ale was the girl who replaced Maggie and they hyped up the new female host for a long while, she was rather lame in her first appearances but she improved rather quickly but she didn’t have that many shows to really show her full potential. As mentioned they would tape the different gaming events which included all the E3s that happened during the shows run starting with the first E3, Shoshinkai Show, Space World among other events. This is one of the coolest things as no one was really doing that or giving full coverage until much later. They could do whatever they wanted, no one owns a certain game? Who cares a viewer asked how to beat a certain part so let’s sho it on tv. Tips or walkthroughs on lesser known titles was not something uncommon on the show even if they did feature newer titles and talked plenty about them. Import titles that would never come to the west were featured, especially those of franchises that were popular in Latin America were anime had always been a thing. Sailor Moon, Saint Seiya all got their games shown a few times and they wouldn’t shy away from saying that NOA wouldn’t bring the games because they weren’t popular in the US and they didn’t see latinamerica as a market big enough because of a lot of privacy. Controversial topics or censorship in games was discussed and they would call out inconsistencies as well for example in one episode they mention how Shiny that developed Earth Worm Jim said they didn’t like pre-rendered graphics but used them in EWJ2. 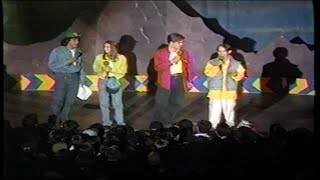 The show went through a few different sets, the first set they played with the idea that it was the little kids attic and they would go upstairs to play games, there were tons of gaming posters from the hottest games at the time whether Mortal Kombat or Killer Instinct and the like and stands along with custom Super Mario Bros blocks and theme through out it. They really played with this idea a lot as even in the E3 episode they had the kid sneak in on a suitcase to go inside the event and apparently wasn’t that far from the truth since they didn’t want to let a kid into the trade show. 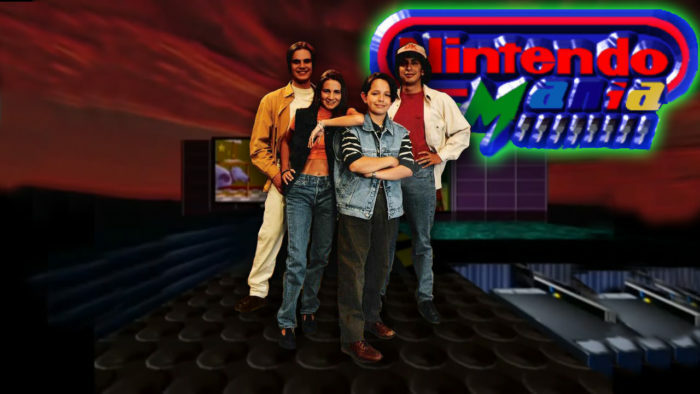 Then for the re-design with the two new hosts they made a much bigger set that was futuristic, had a 3D Mario mural, a Nintendo 64 couch with controller port cushions and a big screen on the back. Then they got a very 90s skating rink with arcades all around where kids were playing games on the background or skating on the ramps. When only Maggie was there she had an all CG blue screen set that was set in gaming inspired worlds, it looked cool at the time but it’s definitely aged the most out of the sets, eventually the last set was a smaller version of the skating set but with slides and poles with inflatable chairs. There were the special episodes in other locations of course including other cities or countries whenever they had random trips. After all this what did the show not have? Arcade news? You got it. Virtual Boy shilling? Done. Bart Simpsons dub voice in one episode? Don’t have a cow, man! Awesome Music? Rock, Metal, Industrial, Techno all featured prominently. Hyping up the Nintendo 64 since the earliest mention and then the dolphin? Of course. 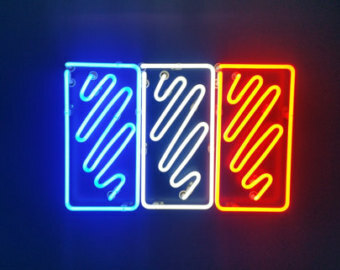 Gaming events in a night club where you play games before the official release date? Hell yeah (This actually deserves its own article), sdp being in one episode playing games on the background? Better believe it. Holiday themed episodes and new episodes even when holidays were on? Of course. NES talk in the SNES era? 8-bit yes, Let me tell you about Digipen so you can make video games when you grow up? umm.. sure? The tech behind Toy Story? Hell yeah. Info on the Stella view or Nintendo 64 Disk Drive? Here before anywhere else. The show was really ahead of the time and even the likes of X-Play weren’t up to snuff, they did not have many reviews besides when they talked about games in previews or during walkthroughs/tips, also they were all mostly positive. They shilled for Nintendo hard but it was still cool, since they were able to do so much with what they had and they were given free reign for the most part to do what they wanted which gave the show the benefit since it was really a “for gamers by gamers” sort of thing. 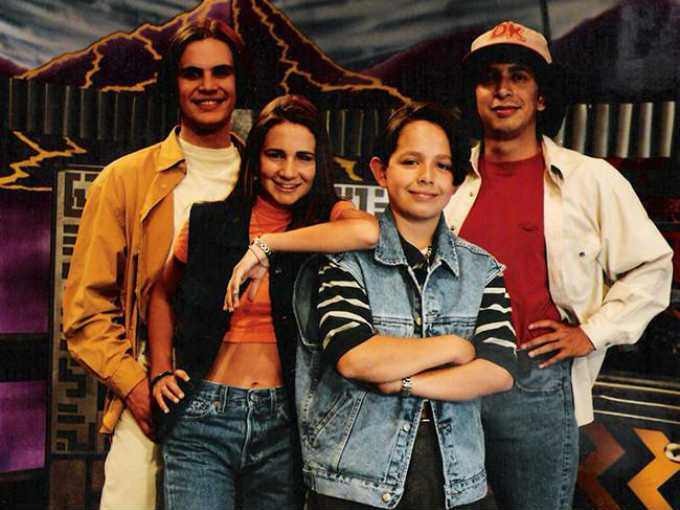 The show had two intros with the second one being very iconic for those who watched the show as well as their catchphrase of “Estamos en Contact”. I was lucky to get a lot of the show during their entire run but because of access/availability I missed plenty, you can catch up with plenty of episodes on youtube for those curious, it was really something else and deserves the praise of those who remember it and this article is my little tribute to it. For more Nintendo articles click the archive. If you enjoyed the article or have any thoughts let me know by commenting below or by tweeting at me. You can also share the article or hit me up an email with your thoughts, it’s nice to hear from other fans.